Students with dysgraphia may need practice with their grip. 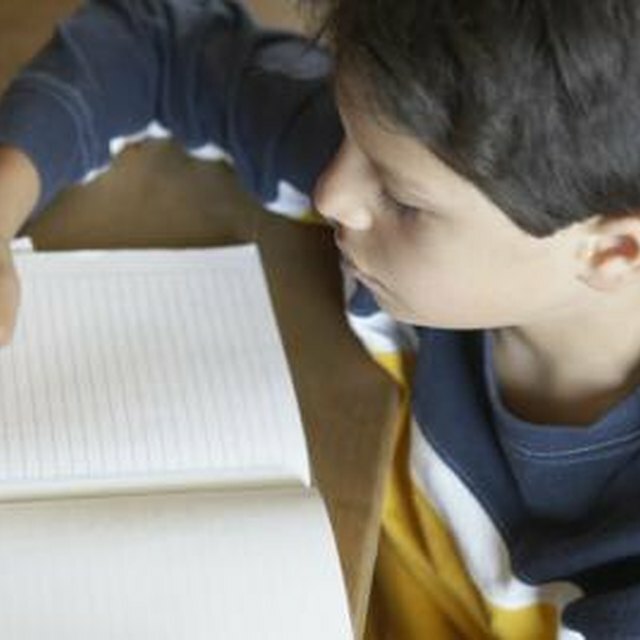 Dysgraphia is a learning disability that causes symptoms such as illegible handwriting or writing difficulties that may include inconsistent spacing or inappropriate pencil grip. Dysgraphia can lead to spelling and reading difficulties. A range of activities can be helpful to students with dysgraphia. Many students also benefit from modified assignments that lessen their need to write. 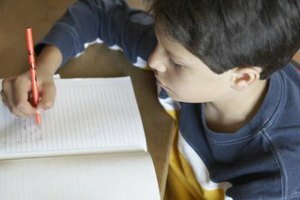 Students with dysgraphia often struggle to control muscles and have difficulty with fine motor skills. Give them clay or modeling dough to knead, to help build stronger hand muscles. Paper mazes offer students the chance to practice fine motor control and develop stronger hand muscles. They thread the maze with a pencil line. This helps them work their muscles without having to create legible handwriting. Students with dysgraphia must learn how to properly form letters. Early activities include connecting dots to form letters, tracing letters with a finger or pointer tool, copying model letters and following explicit teacher instruction on step-by-step letter formation. Students with dysgraphia who understand how to form letters benefit from activities involving letter formation and handwriting practice, notes the International Dyslexia Association. 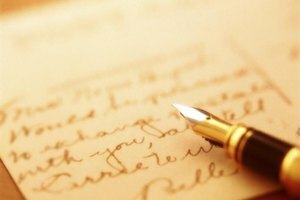 Provide students the opportunity to create letters from memory and the chance to write dictated letters with or without the help of a step-by-step letter writing guide. Offer students a range of writing utensils and papers to help make letter writing fun. 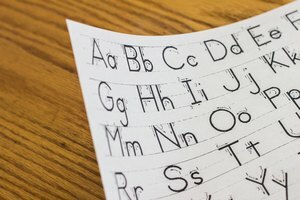 Handwriting activities may include teaching students to use cursive writing, as many students with dysgraphia find cursive easier to write, according to the Reading Rockets website. 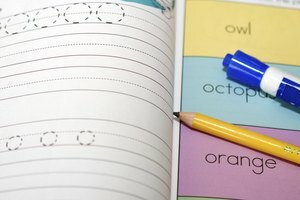 Other activities, such as giving students a short period of time to write on a specific topic, with a focus on handwriting, and dictation lessons help students with dysgraphia practice their letter formation and handwriting skills. 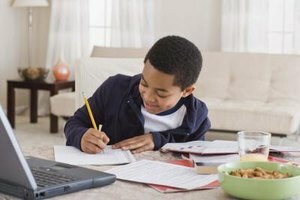 Activities for older students with dysgraphia should include instruction on writing a composition or research paper. Teach students how to break their writing into several stages to avoid becoming overwhelmed. Break composition writing into stages such as brainstorming, outlining, draft writing, editing, rewriting and proofreading and allow students to work on each step individually. Teach students simple abbreviations or marks used in editing to reduce the amount of writing necessary. Allow students to take part in peer writing reviews and spell checking to help them see their writing from another's perspective and gain insight into how to find misspelled words. Based in Florida, Mandi Titus has been writing since 2002. Her articles have been published on sites such as Goodkin, Go Green Street and Living the Healthy Way. She holds a Bachelor of Science in psychology from Stetson University. Titus, Mandi. "Activities for Dysgraphia." Synonym, https://classroom.synonym.com/activities-dysgraphia-7503419.html. Accessed 19 April 2019.